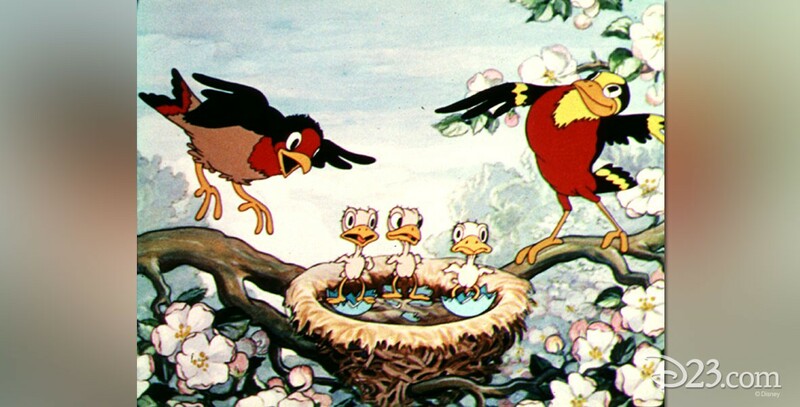 Birds in the Spring (film) Silly Symphony cartoon; released on March 11, 1933. Directed by Dave Hand. A baby bird, Otto, has many adventures when he runs away from home. He meets a hypnotic rattlesnake and runs into trouble with a hornets’ nest. Rescued by his father and taken home, he is given a spanking.